Mousa M, et al. Infect Control Hosp Epidemiol. 2019;doi:10.1017/ice.2018.335. Researchers detected carbapenem-resistant Acinetobacter baumannii, or CRAB, in the air adjacent to ventilated patients with CRAB respiratory colonization or infection, suggesting a risk for aerosol transmission, especially during patient care activities. Writing in Infection Control & Hospital Epidemiology, Madelyn Mousa, BMSc, from the Sackler Faculty of Medicine at Tel-Aviv University, and colleagues highlighted the ability of A. baumannii to survive on dry surfaces in a hospital environment. Additionally, the pathogen is resistant to disinfectants, making outbreaks difficult to contain, they noted. Mousa and colleagues conducted the study at the Tel-Aviv Sourasky Medical Center in Israel between September and December of 2016. CRAB is endemic to the medical center, with an incidence of 41.8 confirmed CRAB infections per 100,000 patient days in 2016, according to the study. Carbapenem-resistant Acinetobacter baumannii (CRAB) was detected in the air adjacent to ventilated patients with CRAB respiratory colonization or infection. They included adult patients on ventilators who had sputum cultures growing CRAB within the previous 7 days. 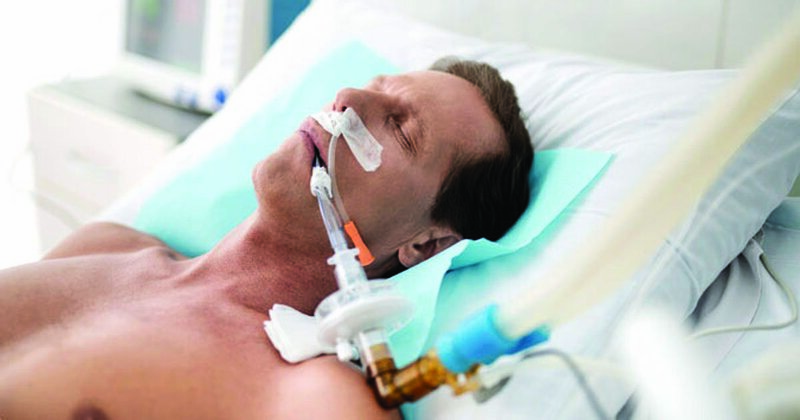 All patients were either hospitalized in an ICU or in medical step-down units with routine air handling of 10 air changes per hour, Mousa and colleagues noted. The researchers included 10 patients in the study — eight with a clinical CRAB infection and two who were colonized. The patients’ mean age was 51 years, and the majority were men. In total, the researchers sampled 252,000 L of air — 25,200 L per patient — while taking samples for 70 hours over 140 sampling periods. According to the study, 40 sampling periods occurred during patient care, producing 72,000 L of air, and 100 sampling periods took place while no treatment activity occurred in the room, for a total of 180,000 L of air. The researchers detected CRAB in 16% of collected air samples. When air samples were taken from the surrounding area of all 10 patients, eight of the samples were positive for CRAB. All eight patients had a positive air culture during patient care, whereas three also had a positive air culture during a period when there was no treatment occurring. “We found no association between CRAB growth in the air surrounding a patient and the degree of CRAB growth in the patient’s respiratory tract or skin, time since last chlorhexidine wash, or antibiotic treatment,” they wrote. Among the 10 patients included in the study, Mousa and colleagues isolated CRAB from nine bed rails, nine bedsheets, nine monitor screens and eight bed head outlets. The pathogen also was isolated from walls near four patients.